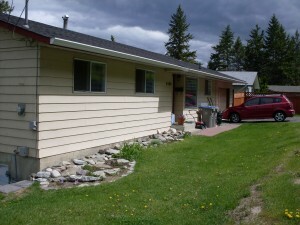 Cute 3 bedroom bungalow with a two bedroom & den inlaw suite. Many recent updates include new roof 2010, laminate floors, tile, paint & carpets, newer hot water tank & more. Private yard & beautiful mountain views. Hardwood on the main floor. 4 piece bathroom on main & 3 piece down. Shared laundry. Single car garage & parking for 3 vehicles. Located on a quiet dead end street. Priced to sell.